A secret location, a self-taught chef, a table full of strangers—this is how some adventurous eaters are now dining in L.A. 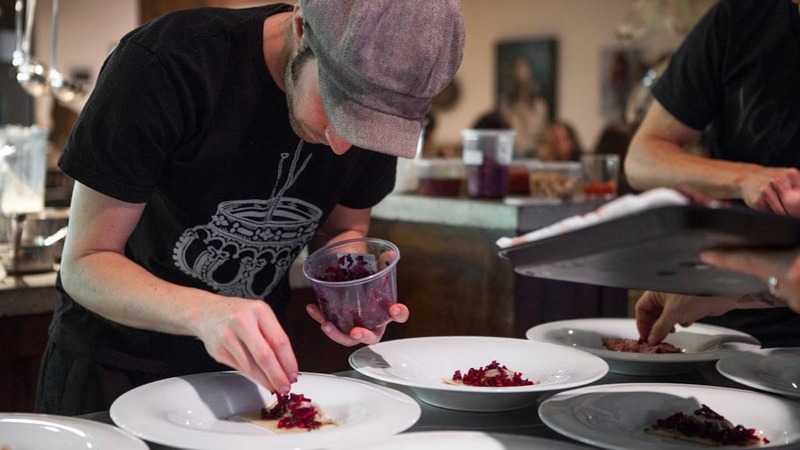 The rise of the supper club has increased exponentially in the past few years, as friendly dinner parties have turned into coveted monthly pop-ups and home chefs have transformed their hobby into a full-time gig—with or without training. In L.A., these clubs are as varied as the city we live in: one might be held in a dive bar, complete with an emcee and tiki cocktails; another in a Downtown warehouse, where unlimited oysters and raucous behavior abounds. 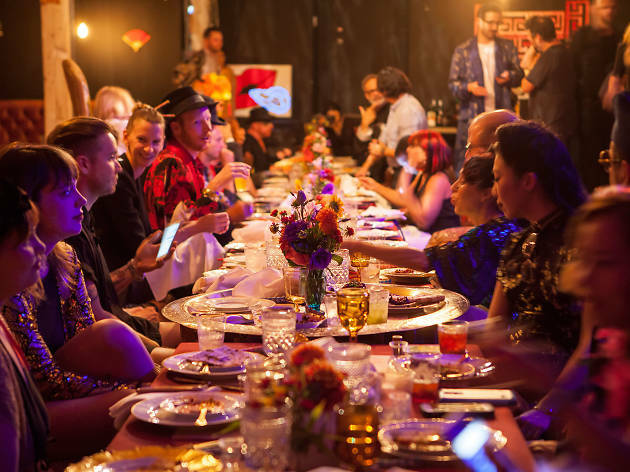 To find the best supper clubs in town, we ducked into lofts and dined with eclectic strangers (fact: there will always be someone that dominates the dinner table conversation). 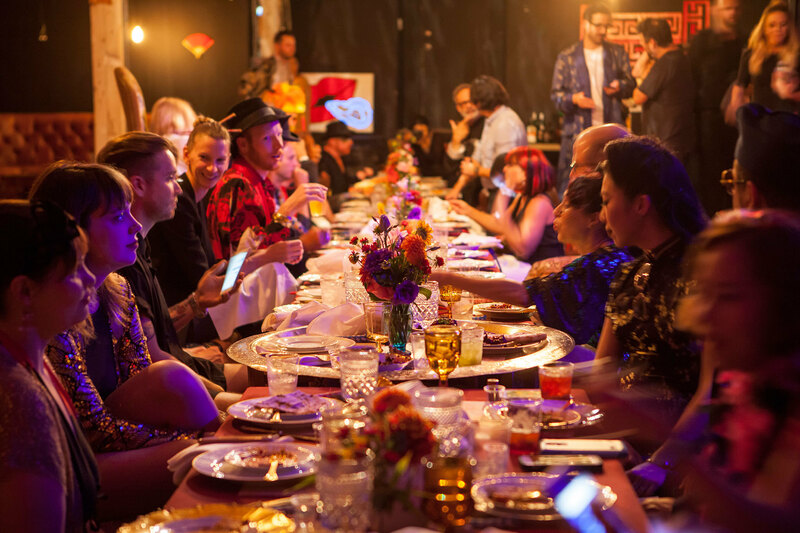 Read on to find out how you can get into L.A.'s most coveted dinner parties. 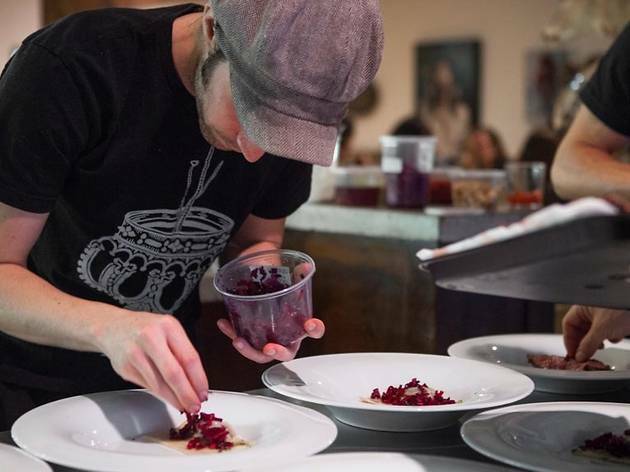 Chef Craig Thornton has created what is quite possibly the best dining experience in Los Angeles with Wolvesmouth, a pop-up dinner that blends world-class cuisine with artistic vision. The nine-course meal held in Thornton's home (attendees don't receive the address until they are confirmed for dinner) is an intimate affair, with 12-16 seats and a BYOB policy. Thornton uses his dishes to portray the violent, raw conditions of the wild, both in ingredient choices (there will almost always be rabbit on the menu) and visual effects (like taxidermy on the walls). Splatters of puréed pomegranates across a white plate might convey a spray of blood in the snow, but there are calmer, more inviting scenes, too, like a pool of snap pea juice mimicking a bed of moss, or shards of dehydrated pineapple that look like pristine icicles. 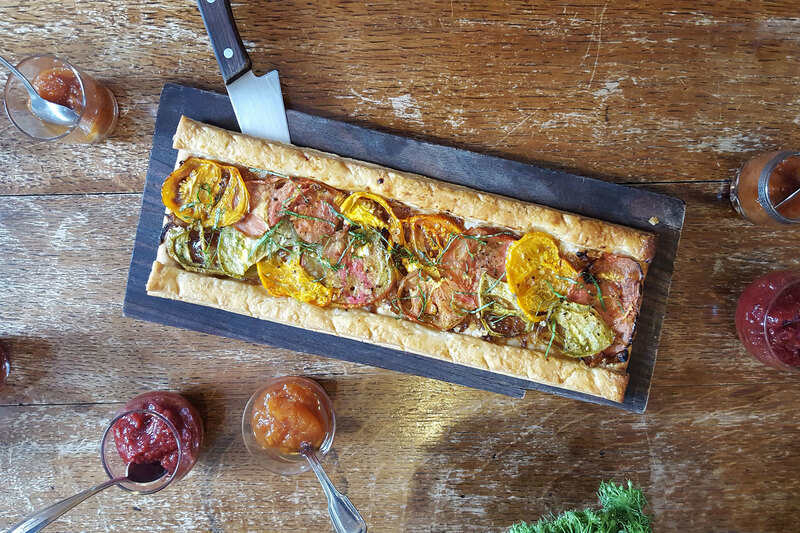 Friendships may be formed at the communal table between revered bites, with everyone enthralled at the chance to be here. Cost: Donation based, though most diners pay $90 and up. How to get in: Submitting your name for a Wolvesmouth dinner does not guarantee entry; instead, there is a lottery system. To get started, sign up for the mailing list and wait to receive an email about the next dinner. You'll then need to submit your name, and won't find out if you've been selected until a few days before the event. Nightlife impresario Courtney Nichols has been collecting disco paraphernalia for the past 10 years, a haul that now serves as inspiration for the debaucherous Disco Dining Club she throws every few months. 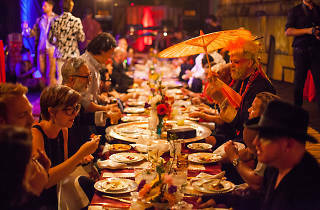 The themed gathering, held in various locations across the city, is broken up into a lavish dinner of around 50 guests (chefs change each time) and a larger after-party which includes unlimited oysters and plenty of dancing. “We want dinner guests to drink from the bottle, haphazardly make drunken speeches and share food with strangers,” says Nichols. That's something that we can definitely get behind. Cost: Prices vary at each event. The after-party alone ranges from $60 to $100, while the dinner and after-party package is $170 to $200. How to get in: Sign up here, or email contact@discodiningclub.com. 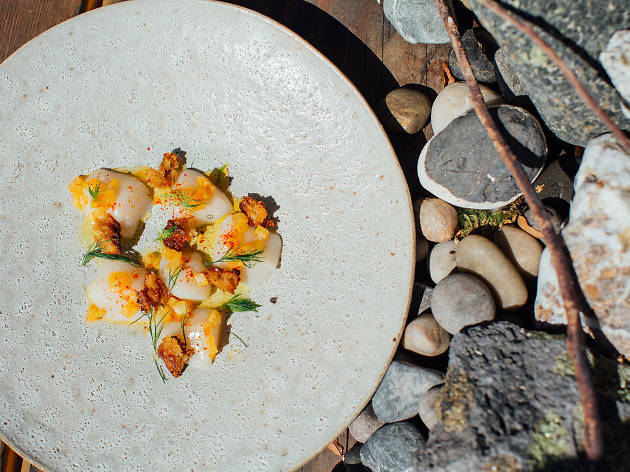 The success of chef Craig Thornton's Wolvesmouth is still going strong, but even successful restaurants—pop-up or otherwise—need to switch it up sometimes. 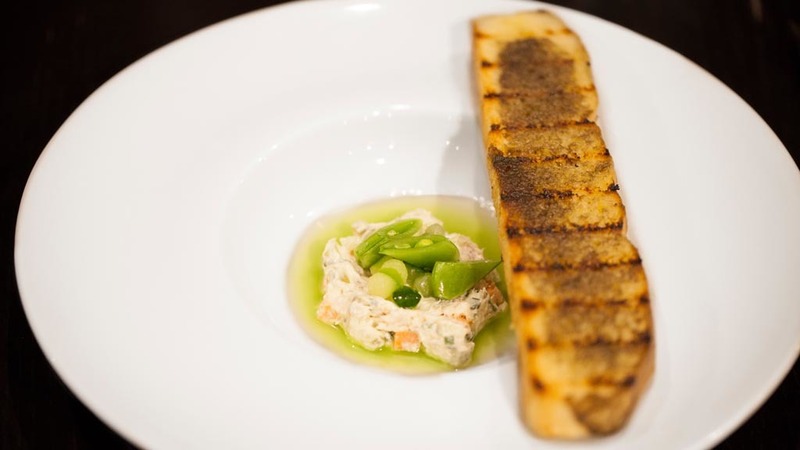 To add a new component to his craft, Thornton created Sharksteeth, a pop-up dinner that focuses on seafood. 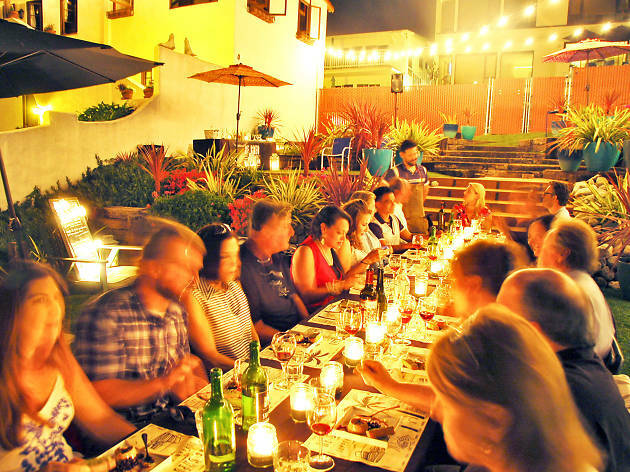 Held on select weekends each month in Thornton's Eastside bungalow, the BYOB, 20-person dinner features stunning dishes in a convivial atmosphere (Think: six courses of seafood, like seared octopus with fried sopes, crab cake salad and halibut in a sea of corn chowder.) 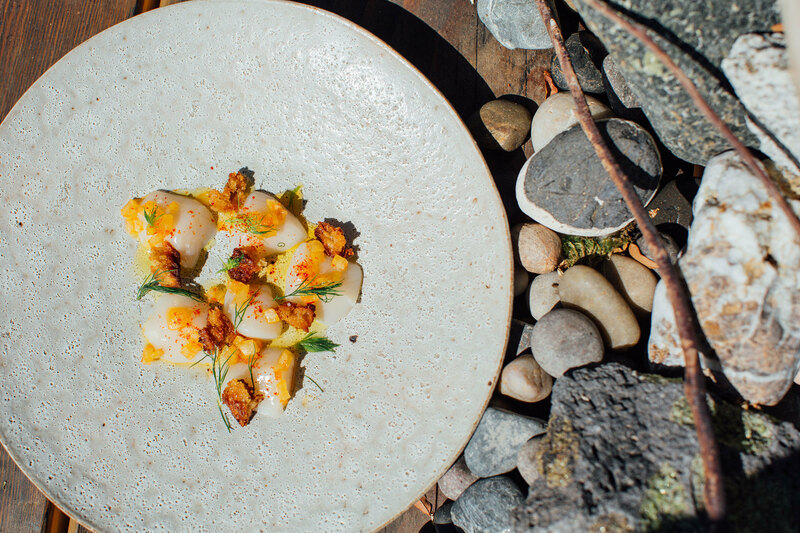 Since tickets can be purchased online—as opposed to the lottery system used at Wolvesmouth—diners tend to be a little more reserved. 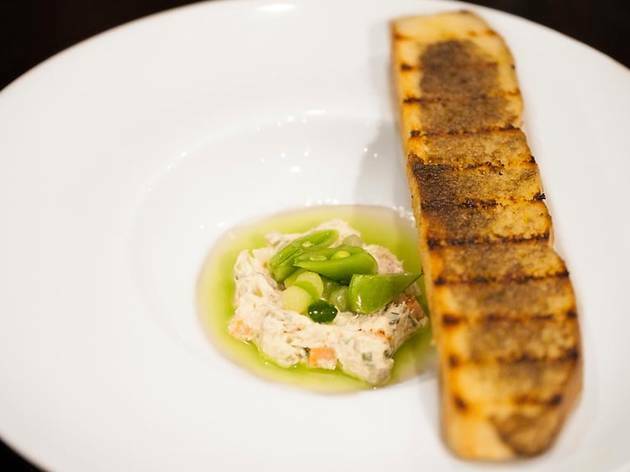 But the food is still outstanding, and the experience of eating Thornton's food in such an intimate, yet relaxed, setting is bound to be a memorable one. How to get in: You can purchase tickets online, but they sell out quickly. It's best to sign up for the mailing list (which is shared with Wolvesmouth) to find out when tickets go on sale. Friends Hyejin Cho and Itay Zach met in grad school, and despite not having any formal culinary training, they started to throw dinner parties on weekends—a hobby that became so popular, it turned into Foodshop. 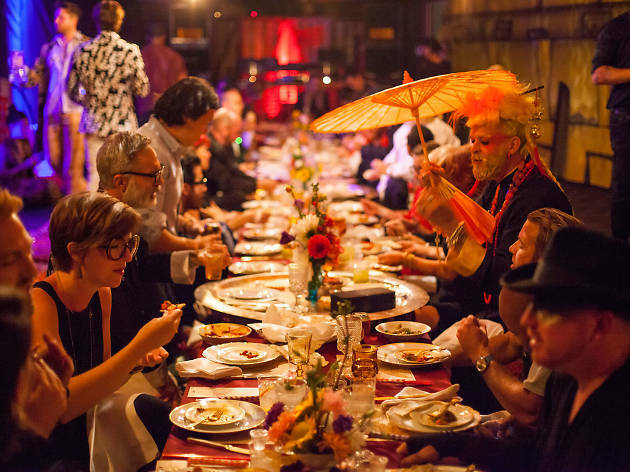 Dinners can reach upwards of 60 people and are held every two or three weeks in a secret location; they've been known to pop up in both Venice and Echo Park. The menu changes monthly and often draws from Cho and Zach's backgrounds (Korean and Israeli, respectively) so you may get kibe dumplings drizzled with homemade tahini, but their most popular event is burger night, when diners will tuck into a grass-fed burger with aged cheddar, smashed potatoes, grilled Caesar salad and more classics. How to get in: For tickets to the next Foodshop dinner, sign up online and keep an eye on your inbox for an official invite. "Ladies and gentlemen, ladies and gentlemen." This is how Darren Herczeg, emcee and Tiki Master, will start off an evening at the Coconut Club, repeating the greeting multiple times as he calls up diners to spin a wheel of fortune; toast Vulcan, God of fire; or dig into a Box of Wonders for a special prize (fingers crossed for the mix CD). 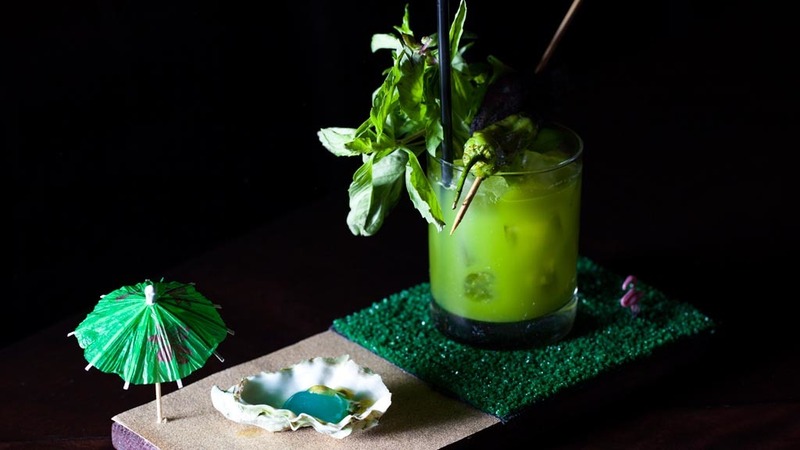 The Coconut Club, helmed by Herczeg, founder Andy Windak and mixologist Nathan Hazard, began as a tiki-themed pop-up dinner and has morphed into a three-course cocktail flight, though the hefty garnishes that come with each drink—coconut shrimp, macarons, skewers of steak—are enough to fill you up. Held in various locations throughout LA (The Hermosillo and The Fonda have been lucky enough to play host), the evening usually has two options available: a casual happy hour shindig where you are encouraged to don Hawaiian shirts; and a later, more formal event where attendees show up in sequins and fezzes. 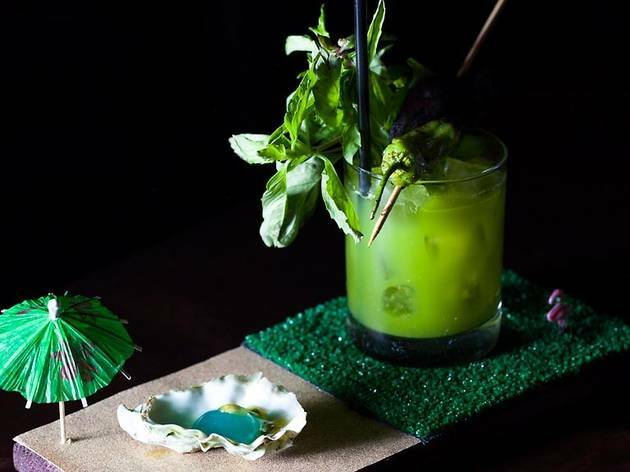 How to get in: To find out when the next tropical soiree will take place, sign up for the Coconut Club's mailing list. 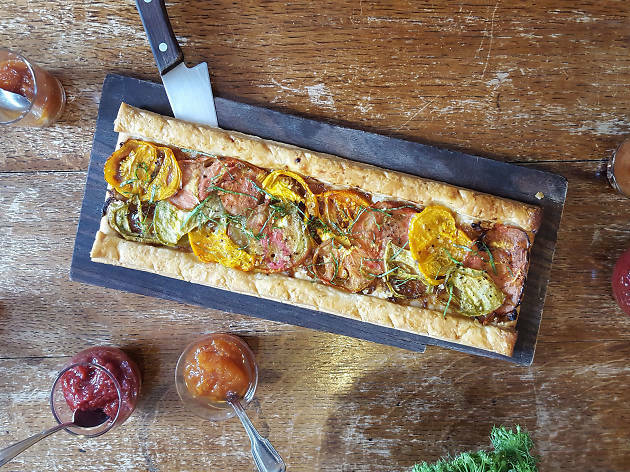 Bringing together an intimate group (parties range from 12 to 36 diners) under twinkling lights in a Downtown loft, Re Creo showcases executive chef Jean Valcarcel's love for adventurous cuisine. Valcarcel, who previously worked at Bestia and the now-shuttered Mo-Chica, crafts an ever-changing, multi-course meal that revolves around a theme; beer, wine and cocktails are also offered. Past events have included a Southeast Asian Christmas Party (Vietnamese coffee-glazed pork belly) and the Foodture is Now (pop rock pineapple mojito bites). How to get in: Sign up for dinner updates here. 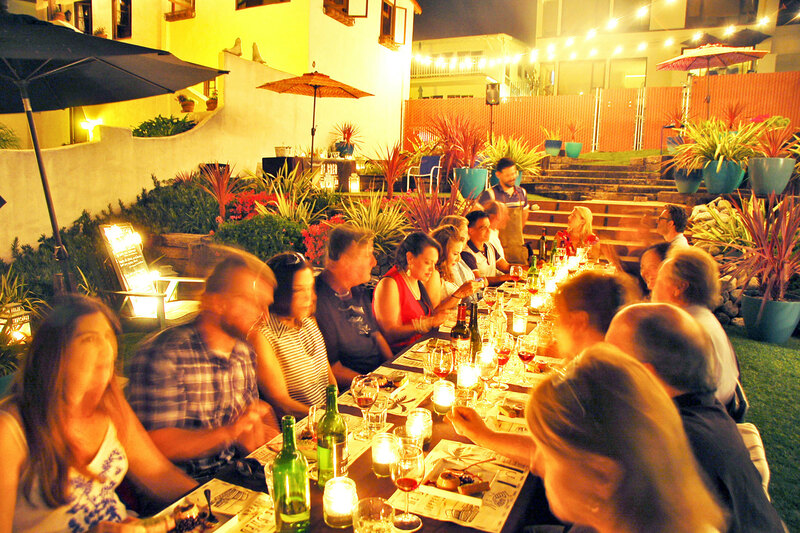 How to get in: Sign up to hear about Because the Wind's latest events and dinner here. 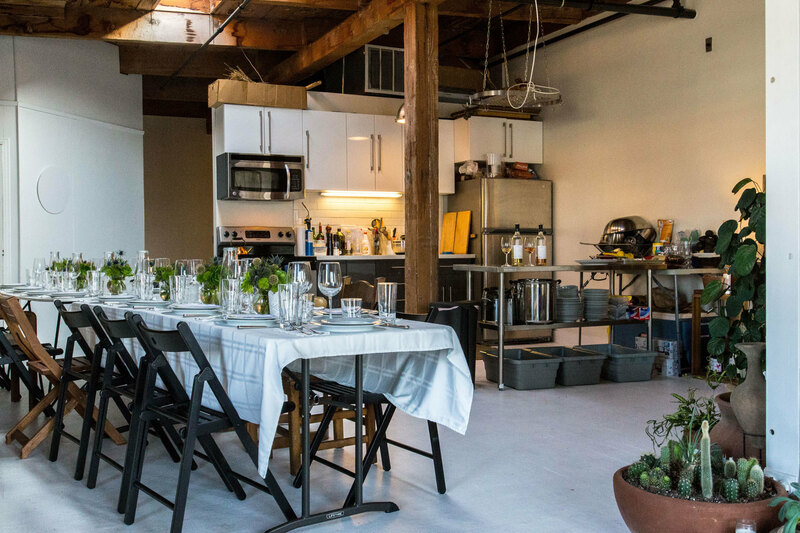 PlaceInvaders started in New York as the brainchild of Katie Smith-Adair and Hagan Blount; now, they try to host dinners in L.A. every three months or so. 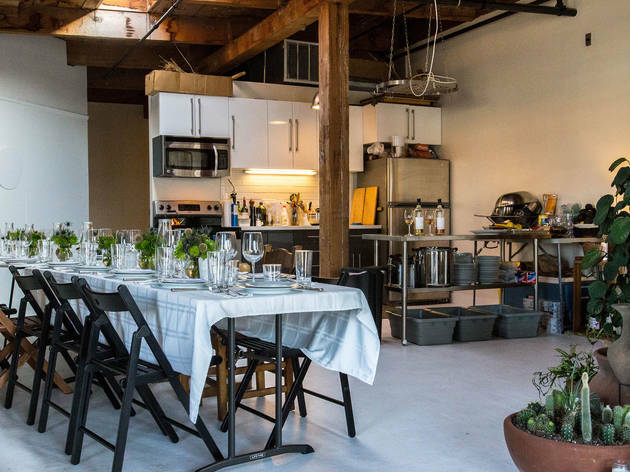 They find a temporary space through word of mouth, renting an apartment and transforming it for a weekend of elaborate dinners. A small team decorates the apartment from top to bottom, working with the aesthetic that is already in place while adding a few PlaceInvaders touches (namely, the company's logo—a purple icon remniscent of the alien from Space Invaders, the '80s video game). How to get in: Sign up for the PlaceInvaders newsletter here. You'll be updated on when they're in town for a dinner, at which point they'll provide you with a link to buy a ticket to one of the nights, usually Friday, Saturday and Sunday.